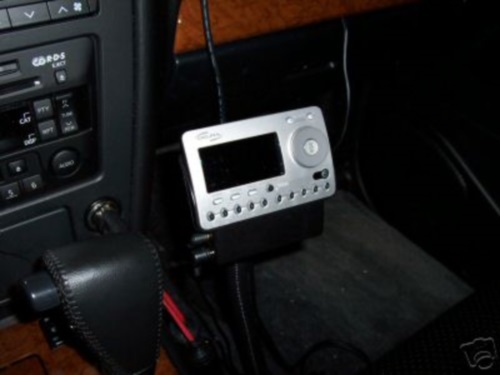 A car mount for a Delphi SkyFi XM Radio is how I first got started with mobile device mounts. This was right around the turn of the century (15 years ago, but it sounds more impressive when I say turn of the century). So I had this XM Radio and used an adhesive mount on my car’s dash. Every hot day in the summer, this mount would fall off the dash and I would come outside to be greeted with my Skyfi laying somewhere on the floor. I got tired of this happening so off I went in search of the best Sirius XM Radio mount I could find. Back then, it was just XM Radio, Sirius was to come soon, but you know what I’m talking about. I scoured all over the place for a mount. Back then, there were only a few places to find car mounts for any mobile devices. Think about it. Smartphones didn’t exist and neither did basic flip phones. A mobile phone consisted of a phone in a bag with an antenna that stuck to your windshield. You couldn’t mount the phone as it weighed in at something like ten pounds. A GPS device was about the size of a 5 pound bag of sugar and weighed almost as much. It wasn’t easy to find a car mount for anything. The Arkon Car Seat Bolt Floor Mount for Sirius XM Radio is what I found. Oddly enough I found what I think is the best Sirius XM Radio mount of all time. Amazingly, it hasn’t changed a lot. They added a few inches to the height which is appreciated and made the mounting head easier to swivel. Other than that it’s the same mount that I started with. A photo of that mount in what I believe is a Nissan Pathfinder is what’s accompanying this article. Why do I continue to think this mount is the best Sirius XM Radio mount around? It’s all about location and build quality. I see so many people mounting their Sirius XM Radio on the windshield. So unnecessary. The radio doesn’t need to see the sky. It’s the antenna that needs to see the sky. Your Sirius XM Radio should be placed close to where a car radio is typically found. The seat bolt mount allows placement of a satellite radio right next to the stock radio you got when you purchased your car. The mount attaches to your car’s passenger seat bolt. As long as the seat bolt is exposed, you shouldn’t have any trouble installing the mount. Installation typically takes five minutes and requires a wrench or pliers. The bottom of the mount is shaped like a claw. Loosen the seat bolt enough for the claw to fit beneath and tighten the bolt. use the wrench or pliers to tighten the bolt. Hand tightening isn’t going to work and the mount will flop over plus your seat can become loose. So for safety sake, use the wrench or pliers and tighten it real tight. This mount is made of metal and it’s a flexible gooseneck. This allows you to bend it however you like and I never had it get in the way of a passenger. The radio attachment end of the mount has a single T pattern that fits the back of a lot of Sirius XM car cradles. The mount also includes an AMPS pattern adapter for the cradles that use the 4-hole pattern. So, in short, one end of the mount has a claw and attaches to the seat bolt. The other end attaches to the back of your car kit’s cradle. I still think the Arkon Car Seat Bolt Floor Mount for Sirius XM Radio is the best Sirius XM Radio mount for a car or SUV. I have used a mount like this for a long time. I remember trading in that Pathfinder for a new car and one of the last things I did was remove the mount so I could install it my new car. And for the record, I’ve upgraded my classic bag phone to an Apple iPhone 6s Plus.